Please Note - This item ships from the factory without a Power Supply; it is assumed that the user already has at least one PS available (that would have shipped with a compatible wireless system). Once connected to an appropriate power supply, the ASP-2 will distribute power to up to 4x wireless receiver units. 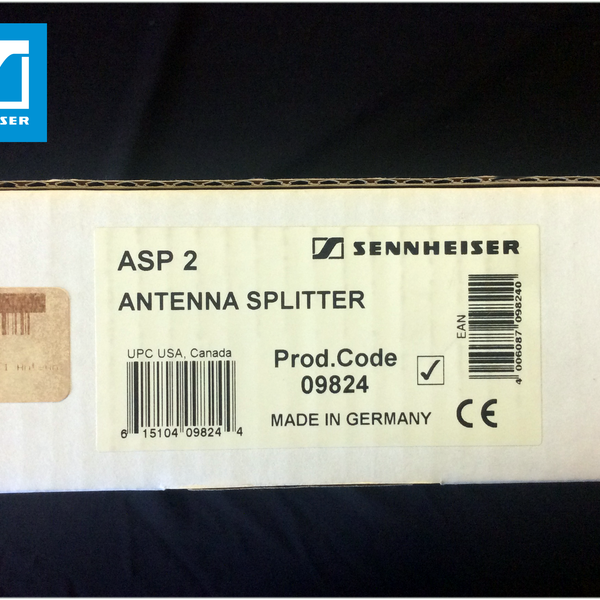 The Sennheiser ASP-2 is a power and antenna signal distribution system for the EM 500 G2, EM 300 G2 and EM 100 G2 wireless microphone receivers. The ASP-2 supports up to 4 receivers and eliminates the excess cables involved with operating multiple systems. 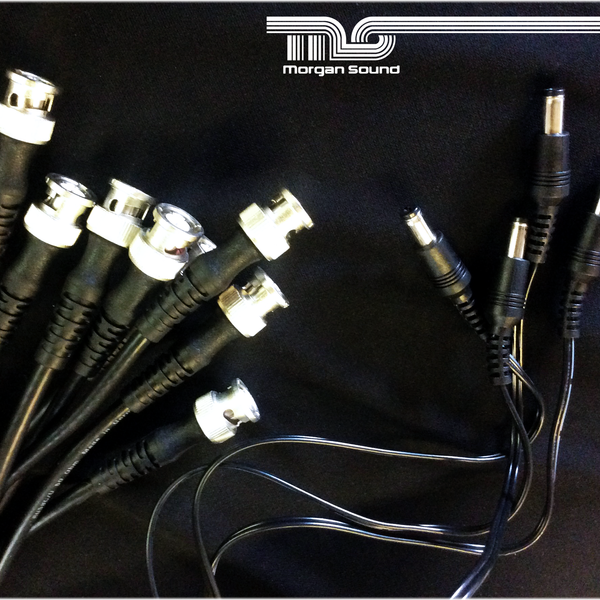 Dual ASP-2 splitters can be used to feed up to 8 receivers for larger configurations. The rear panel features standard BNC connections for adapting antenna cable. The ASP-2 is completely rack-mountable using the optional rack mount hardware. The ASP 2 passive RF antenna splitter has been designed for routing antenna signals to several receivers in a multi-channel system, i.e. up to four diversity receivers are supplied with the signals of only two antennas. The antenna splitter incorporates DC distribution for powering up to four receivers in addition to two antenna boosters via a single mains unit. 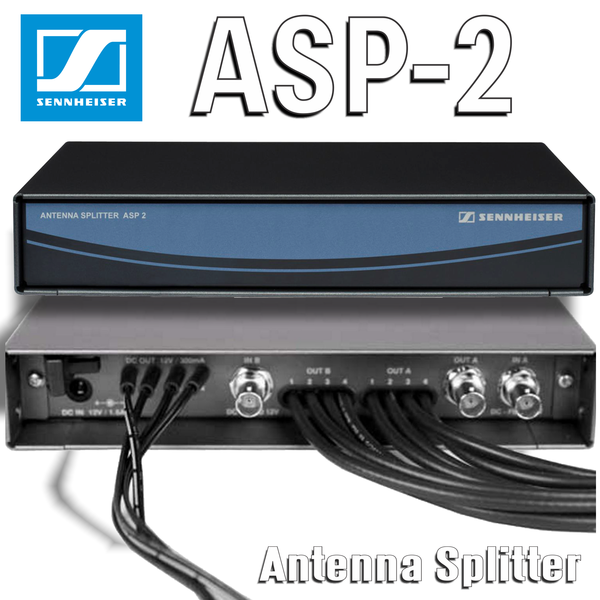 By linking two ASP 2 antenna splitters, an 8-channel system can be operated with only two antennas. By using the GA 2 rack adapter, two antenna splitters or one antenna splitter and one rack-mount receiver (e.g. 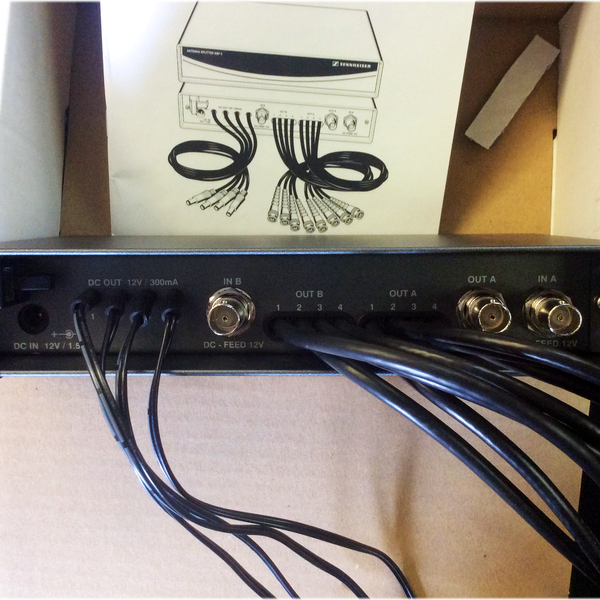 EM 100 G2, EM 300 G2 or EM 500 G2) can be mounted into a 19" rack. The ASP-2 accepts signal from a pair of diversity antennas and distributs the signal to up to 4 diversity receivers. 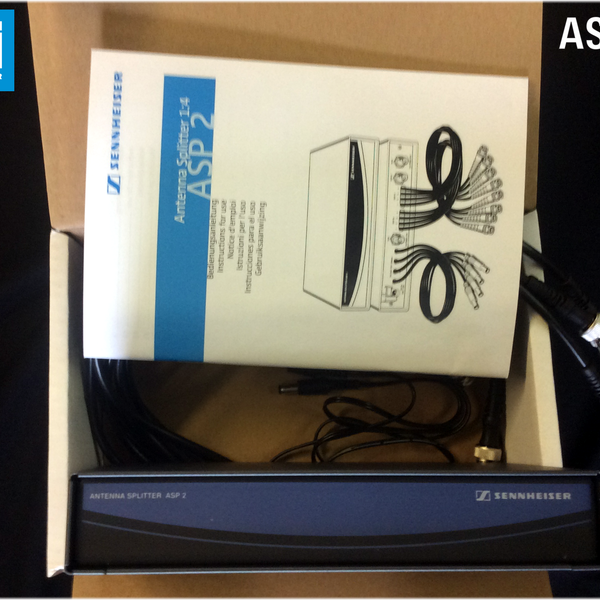 In addition to radio frequency (RF) signal, the ASP-2 is also capable of powering up to 4 receivers. Two ASP-2 distributors can be linked for power and RF distribution to 8 receivers.